My Pets Nanny Deb has been serving the Plainfield and Joliet areas of Illinois for over 20 years. In that time, Deb has become Plainfield’s premier pet sitter, providing an unmatched standard of service for all pets and their families. – Flexible, personalized services – Unusual schedule? Pets with special needs? Deb is happy to work with you to make sure all of your needs are met. – Daily communication – From handwritten notes to email and text updates, you’ll always know how your pet is doing, every day you’re away. – Exceeded expectations – Decades of experience have made it possible for Deb to provide thoughtful considerations, like changing lights around, cleaning messes, and other things to ensure you’re always confident about leaving your pet at home. Deb is an expert in pet care, so you can always ask her about caring for your pets and making sure they have everything they need to be happy and healthy. Bonded and insured, and always prepared for emergencies, mishaps and the unexpected, you won’t get this standard of care from anyone else. 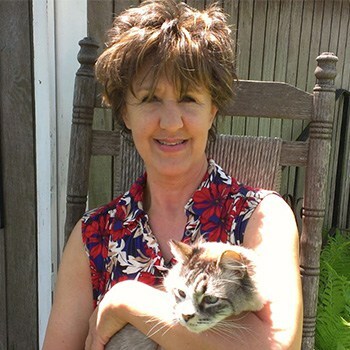 Deborah “Deb” Alling is the founder and pet care provider of My Pets Nanny Deb. As a pet owner, Deb knows how hard it is to leave your pets at home when you’re at work or on vacation. Daycares and boarding kennels are not for everyone. For many pets, they lead to stress and exposure to communicable illnesses. She knows from over 20 years of experience that personalized, one-on-one in-home care is the best way to minimize stress. Your pet will love sleeping in their own bed, eating out of their own bowl, and cuddling up to their beloved nanny. You’ll love knowing that no matter where you go, Deb is dedicated to keeping your pets safe and sound. Deb can administer pills, injectable medications, and take care of other special needs. You will never have to worry about letting a stranger into your home – Deb works on her own, so your pets will get to know her and feel comforted by a familiar face.